People who believe they do not need to replace a missing permanent tooth or teeth do not realize the dangers of an empty socket in the mouth. From shifting teeth to changes in the jaw that result in changes to one’s face, missing teeth can cause a variety of issues. As a mini implant dentist, we can provide effective teeth replacement treatment options that do not take up nearly as much space and time as traditional treatments. We offer specialized services that general dentists and other professionals do not. This gives our patients the ability to receive the best approach to specific treatments for their needs. If you want a long-lasting replacement solution to missing teeth, then mini dental implants are the treatment for you. Many people avoid basic dental care unless it is absolutely necessary. They may not even realize there is an issue until the infection requires a tooth extraction or an accident damages/knocks out a tooth. Due to this, they do not notice the issue until it is serious. We replace teeth on a regular basis, utilizing mini dental implants. Mini dental implants are similar to traditional dental implants, but are smaller and have a multitude of added benefits such as less invasive, less painful, less healing time, less expensive, less treatment time, and less doctor visits. Along with that, mini dental implants can provide a durable tooth replacement that will not fall out easily. Since people may not have enough bone for traditional dental implants, mini dental implants are an effective alternative. Below are answers to common questions about mini dental implants and the process that we hear on a regular basis. Mini dental implants are a third or less the size of traditional dental implants taking up less space in the patient’s jawbone. The mini dental implants typically consist of titanium allow that will fuse with the jaw bone to anchor the missing teeth. 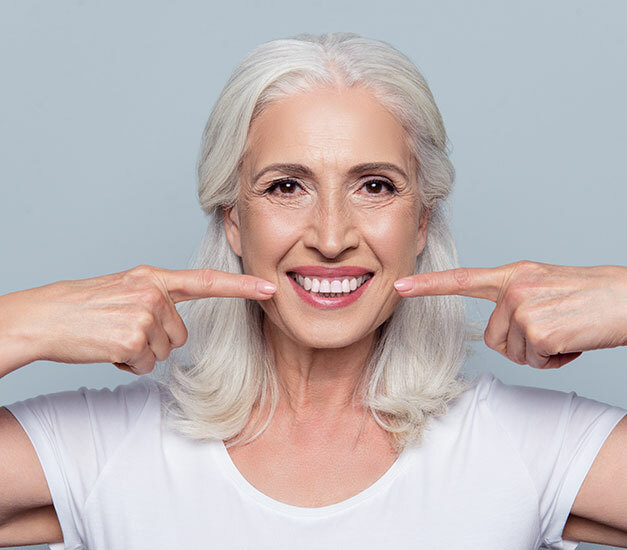 With multiple benefits, many people prefer this option for replacing missing teeth rather than cutting down two adjacent teeth to create a bridge. Who are the ideal candidates for mini dental implants? People who have lost 1 or more teeth. Dentures wearers who are unhappy with ill-fitting dentures and the use of denture adhesive. Those who have an inadequate bone in their jaw. Those who are medically compromised and cannot have extended surgical procedures. The length of time for the procedure may take up to 30 minutes or more, depending on the treatment complexity on the patient's makeup. Since we may use between two and five mini dental implants to replace an entire row of missing teeth, it will take longer than only needing to replace one tooth. In many cases though, mini dental implants only take a few hours of a patient’s day. Is there any Pain After the Procedure? The patient may feel some minor soreness after the procedure but it will go away in several hours after the procedure. We will numb the mouth so the patient does not feel any pain or pressure during the procedure. Some patients may take store-bought painkillers to reduce pain and help with swelling. We will go over all the aftercare steps after the procedure. When a permanent tooth falls out or leaves an empty socket, the body will go through the process of resorption. During resorption, the body takes calcium from the jaw to use elsewhere in the body. Due to this, the cheeks will begin to sag inward changing the facial structure as the jawbone recedes. The other teeth can also move to close the gap, causing the teeth to move out of alignment and become crooked. Even if a patient chooses traditional dentures, the jaw will still recede. What is the Difference Between Dentures and Dentures Supported by Mini Dental Implants? While both options can replace missing teeth, dentures do not use implants to attach to the jaw. Patients need to remove dentures each night and clean them with a special solution. Mini dental implants can attach to the jawbone so the artificial teeth remain in place. The patient does not need to take implants and denture out or schedule regular adjustments as they do with dentures. While both are effective, patients may still prefer one option over the other. We can go over the specifics of each in greater detail during a consultation. Even if a patient chooses traditional dentures, the jaw will still recede and melt away changing the patient's facial structure. If you are in need of seeing a mini implant dentist or any of our other services, give us a call and schedule an appointment today. We can help you to restore your smile and the functionality of your teeth and your life.